Why are there so many recalls and why are some of the car recalls just downright awful? Well, with thousands of parts and hundreds of steps, automotive manufacturing is a complex business. Unfortunately, all that complexity can lead to massive problems for car companies when something malfunctions. Small problems can be ignored, but large problems (or problems that become large thanks to the media) often require a complete automobile recall. So why are these car screw-ups so large scale? As you’ll see, a car manufacturing problem almost never affects just one model, because automobile companies share components between different cars. Here are 12 of the biggest gaffes in auto manufacturing history, in order of awfulness. Enter your zip code above to receive car insurance rates from multiple companies today! The Ford Pinto is probably one of most notorious recalls in history. Though it wasn’t nearly the largest, it was arguably one of the most dangerous: drivers could be subject to an exploding gas tank in the event of an accident. Ford initially didn’t want to recall the vehicle, and even ran some numbers dictating that instead of replacing a one-dollar part, they would rather contend with lawsuits, sparking a huge public outcry led by consumer advocate Ralph Nader. Recently, the 2004-2010 Camry had the uncanny ability to accelerate all by itself, as if by magic. At first, Toyota denied that there was a problem, even providing replacement floor mats. Due to intense media scrutiny, Toyota eventually admitted there was a sticky pedal issue and issued a full-scale recall. Customers who purchased a GM truck from 1999-2004 were complaining of accidents involving collapsing tailgates (standing on the tailgate and having it collapse toward the ground). GM issued a recall in 2004, installing reinforcing parts on all affected models. However, GM still insists that people should not stand on open tailgates. But when you’re loading a truck, isn’t that the point of a tailgate? Models Involved: Honda Accord, several other Honda and Acura models. The usually reliable Honda Accord was recalled in 1995 for all vehicles manufactured between 1986 and 1991. The cause of complaint was the seat belt buckle chassis, which had become either broken or unreliable in many cars. Unreliable? In a Honda? It’s surprising since they are known for their reliability. In 1972, Volkswagen decided to run a recall on 1949-1969 Beetles, among other models, because of a problem with the windshield wiper components. The wiper arm had a screw that frequently came loose, causing real problems in the event of rain or sleet. A problem with loose gravel on dirt roads led to GM installing underbody protection for these vehicles. Apparently, the stones could lodge in the engine compartment, causing loss of steering control. This is a big problem when you’re driving a car the size of a small yacht. Seat belts save lives. It’s a proven fact. So when they’re not working, it’s a matter of life and death. It was a problem that Ford had to tackle in 1972 — specifically with faulty buckles on a number of models during the 1970-1971 model years. 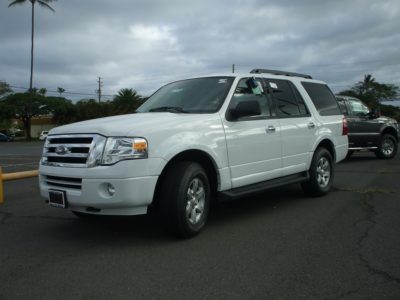 September 2005 was when Ford admitted they screwed up big time, by recalling the Expedition and some other large trucks during the model years of 1997-2002. The problem was an overheating cruise control deactivation switch. Imagine driving down the highway on cruise control, then not being able to turn it off. That’s an “expedition” you wouldn’t forget. 1981 was the year of the rear control arm for GM cars: the company had to replace the unit on millions of them. So what does this part do? It’s an integral component of the suspension system in your vehicle. It holds you down, at least when it’s working properly. Ford vehicles outfitted with Firestone tires were found to have a higher susceptibility for rollover accidents. This led the Bridgestone/Firestone company to recall millions of tires and eventually sever a one-hundred-year relationship that the company had enjoyed as a supplier to Ford. A follow-up NHTSA investigation showed that Explorers were no more likely to roll over than other SUVs, provided they weren’t using cheap tires. The Bel-Aire and a whole swath of General Motors cars from the late 60s and early 70s were recalled in 1971. The problem? Motor mounts, which hold the engine down under the hood. Yes, they’re as important as they sound – unless you like your engine flying around on the street! In 2006, Ford recalled a ton of F-150 pickups from the late 80s and early 90s for a safety defect. The problem? The steering column could ignite on fire. At nearly 8 million vehicles recalled, this tops our list as the biggest auto manufacturing screwup of all time.